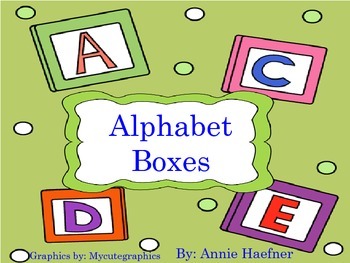 Use these Alphabet Boxes when you teach your Alphabetic Program to your students. I always need one more activity when I teach the Alphabet and these work perfect! They are great to reinforce letter and sound recognition. 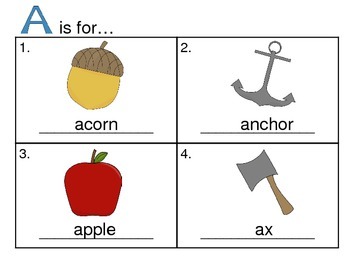 You can put together as a book or print them individually as you learn that letter and sound. Use them as guided instruction, in literacy centers, or as independent work. Just have students come up with words that begin with that letter and sound. 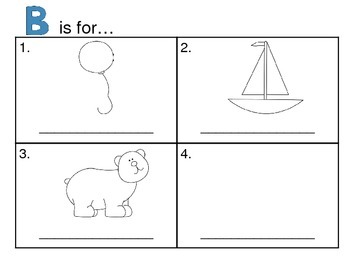 They can color the picture and write the correct word, cut out pictures out of magazines for that letter and sound, or you can do modeled drawings of any letter and sound. 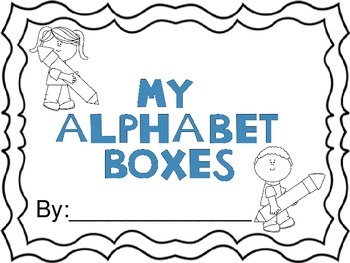 Included: A Title Page, An example page, 4 Alphabet Boxes for each letter of the alphabet with pictures, including one blank box, and 4 Alphabet Boxes for each letter of the alphabet with blank boxes.